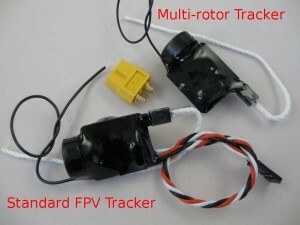 This is a long range self contained tracking system for drones and all types of flying models. Also referred to as a locator, tracker, beacon or finder. It can be used on any type of drone or RC aircraft. Great for FPV, planes, multi-rotors, and gliders. Our tracking system was originally designed with simple operation, long-range and long-battery-life as the most important features; for locating FPV models lost at a distance and/or in difficult conditions. It is a radio direction finding system that does not reply on GPS or Cellphone services. 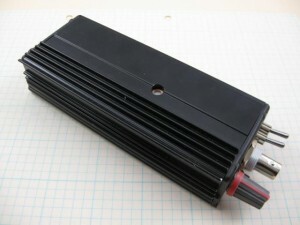 The beacon transmits a repeating chirp signal that the receiver picks up. Using direction finding techniques and often a directional antenna, you move towards the beacon following the signal. Some refer to this as radio fox hunting. How does the beacon guide me to its location, and how close will it get me ? As you get closer, the directional antenna is not useful because the signal is too strong. Now you use a much smaller antenna, often just a piece of wire and home in on the beacon. The beacon emits a low level audible beep which can usually be heard from 20 to 50 meters and can lead you right to the beacon. Can I use the receiver I already have ? This depends on the receiver and how much range you expect to need. We have designed our two receiver types to best suit our beacons and provide good tracking range. Receivers like the Baofeng UV-5R do work but with a reduced range; which can be a good thing if long range is not top so important, such as club flying. Some Uniden scanner receivers also work, but not as well as the UV-5R. If you are flying longer distances or over rugged or difficult terrain, we recommend one of our matching receivers. You should practice with the system before having to find a lost model. Operation : Before flying simply remove the jumper and fly as normal. If all goes well replace the jumper after landing. If the aircraft decides not to return for any reason the tracker beacon will begin transmitting. The receiver or a suitable radio scanner can be used for locating the plane. Simple Really : The FPV version tracker beacon connects to a active servo channel (elevator or aileron) with a Y connector. It should be mounted so it is water resistant and reasonably well protected in a crash. Receiver Antennas : See our yagi directional antenna kit for long range tracking and direction finding. A simple short wire antenna can be used for close in location. Antenna Information Here. Mini-Receiver : This is a smaller, simpler and cheaper receiver that is matched to the tracker beacons. It provides the same range as the larger receiver (shown) but does not have the internal speaker, battery and auto-power-off features. I am looking for a tracker for my phantom 3 drone. What range do you expect me to be able to use the tracker over ? Which tracker and receiver would you recommend for my application ? and what is the usual delivery time? Range should be several kilometers. As you mention there are many variables. The multi-rotor version of our tracker is the easiest to fit to the Phantom. I have seen the beacon installed inside the body with the control jumper extended outside. We recommend the mini receiver and yagi directional antenna kit. Delivery to most countries is about two weeks by Air-Post.